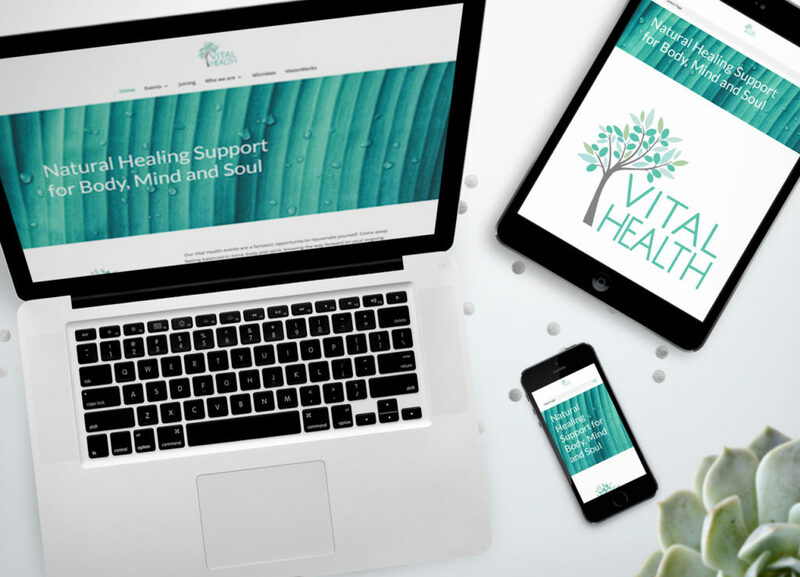 Vital Health Retreat wanted a redesign of their old site. The new site was given a clean calm feel and also a references to a second website they own. As there was no logo for Vital Health Retreat we took the logo from the second site and changed the colours to match the new website’s colours, then we replicated the circular design elements from their second site and placed them in the home page of the new site so when users clicked through they could feel a connection between the two. Thank you so much Lyndsay for all of your amazing work! We have many different elements to our company and one of them we wanted to promote more and create a personality for. We offer Health Retreats and we wanted it to have a fresh and relaxing feel and Lyndsay did that for us. She created a whole new site along with a new style guide and logo to keep up with and has brought that element of our business to life. And the best part, it is so easy to use. The website is bringing more people in and we are proud to show it off. Thanks to the new style guide, we were able to create new flyers/leaflets and our numbers are on the up in terms of participants. We are so glad we found Lyndsay and it feels so good to bring this part of our business to life. Thank you for all of your help and support.